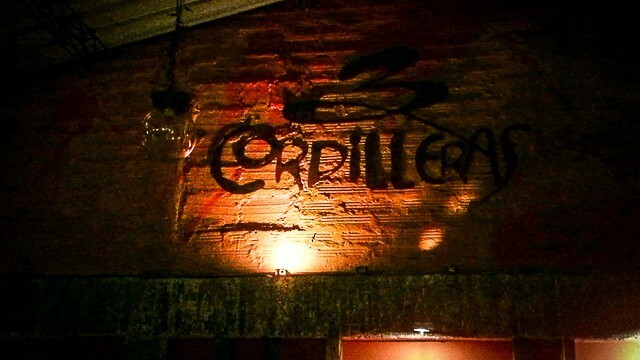 Thankfully, 3 Cordilleras Brewery is a diamond in the rough. 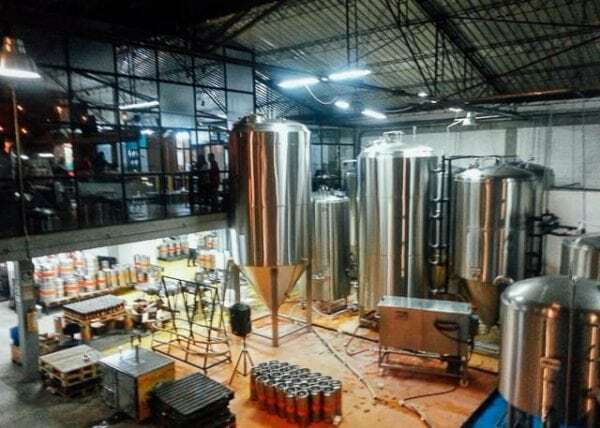 3 Cordilleras was started back in 2008 as the first microbrewery in Medellin, with brewery equipment purchased second hand from Portland, Oregon (of course from Portland). Located in the industrial district (Barrio Industriales) near Premium Plaza, and just a few blocks from the nearest metro station. As a brewery and not a bar, it is only open to the public on a limited schedule (Thursday and Friday nights) for an amazing testing session and happy hour. For just 29.000 pesos (less than $10) on a Friday night you get tickets for five beers, your own 3 Cordilleras beer glass to take home, and more often than not, a rockin’ live show. Yeah, you read that right: less than $10. On a recent Friday we arrived at about 8pm for a live Nirvana tribute show and there was a massive line out the door. 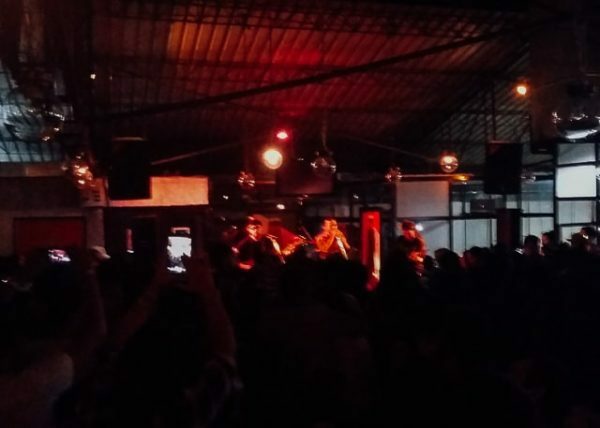 Medellin is also predominately a reggaeton city (Latin hip hop or rap), but it was great to see a big audience gathered to pay tribute to the legendary rockers from Aberdeen, Washington. Good beer. Good music. Is this Medellin? The line went quickly enough and we forked over the cash and got our wristband, glasses, and drink tickets. The brewery equipment is all located on the ground floor, but heading up the staircase to the loft area is where the happy hour and music is. The upstairs was absolutely packed. We smashed our way through the thick crowd toward the bar for our first drink. Mestiza – an American pale ale. We found a small free space along the back wall opposite the stage and staked out our ground for the show. The local Colombian group that calls themselves Tributo a Nirvana Medellin took the stage by 9pm and opened with a rocking rendition of Nirvana’s Love Buzz. They ran through a great selection of Nirvana’s classics and not just the hit singles either. The crowd really got into it, singing along with the band, cheering between songs, and even forming a mosh pit at times. When Andrea came to Seattle last year, one of the things we had to do was visit Kurt’s old house in Seattle and visit his old stomping grounds in Aberdeen, Washington… And now here we were back in Medellin for a tribute to them. 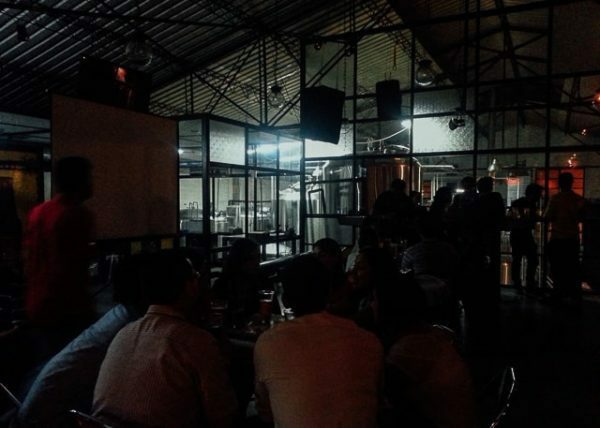 The live music at 3 Cordilleras Brewery changes on a weekly basis, but in the recent past they have had live music tributes to the Arctic Monkeys, Metallica and others. They also do different events like video concert tributes, salsa and rock nights, and others. Your best bet is to check out 3 Cordilleras on Instagram or Facebook page to get the most recent events. We had a most amazing evening at 3 Cordilleras Brewery, and I’m sure we will be back again in the near future for another rockin’ evening. Wow looks like a great place to have fun and drink beer with friends. And they brew their own beer, amazing. It’s definitely a really fun place. Hard to find really good beer here in Medellin, but this place delivers the goods!